My friends and I came here for a late night snack. Neither of my friends had eaten here before. The servers were just as courteous and friendly as the last time I ate here. 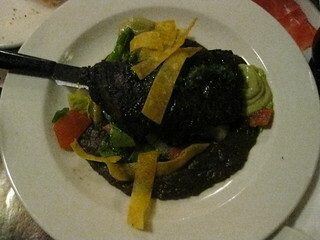 Due to the fact that it was Valentine’s Day, they had a specials menu along with the regular menu. We ordered from their specials menu. 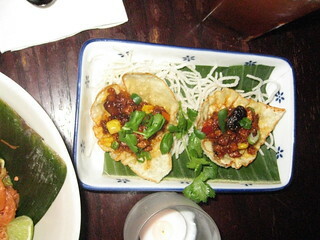 We had the spicy coconut noodles aka mee kati ($8), spicy lao sausage ($10) and the golden chicken ($5). One friend listened to my recommendation and ordered the Thai iced milk tea ($4, right side of picture) while another friend got the Thai iced lemon tea ($4, left side of picture). I decided to satisfy my curiosity from last time and ordered the Thai Long Island ($9, center of picture). 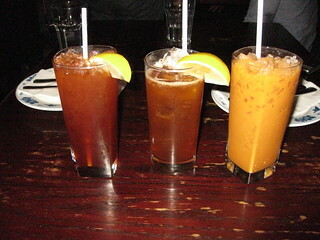 My friend thought that the Thai iced lemon tea was abit too lemony and it overpowered the taste of the Thai iced tea while the Thai Long Island was nice in that the lemon wasn’t overpowering the Thai iced tea. 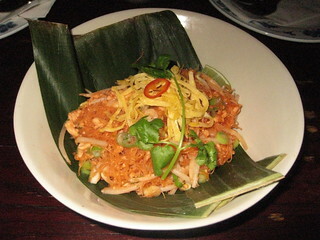 The spicy coconut noodles aka mee kati is thin rice noodles on banana leaves that’s stir fried in a spicy coconut milk sauce with ground chicken, bean sprouts, green onions and garnished with egg threads, a hot pepper ring and a lime wedge. It was scrumptious with a nice spicy kick to it. 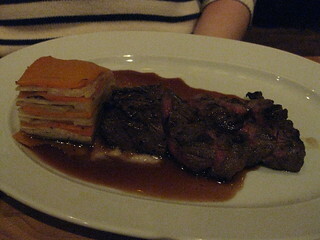 Although it looks like it’s a small portion it was surprisingly big. 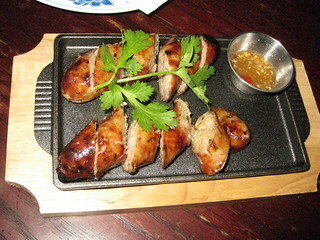 The spicy lao sausage is pork belly sausage that’s seasoned with lemongrass, galangal, lime leaf and shallots. It comes with a sweet and sour chili dipping sauce. It was delicious. The Golden Chicken is corn, green onions, minced chicken in a special sauce that’s reminiscent to spicy BBQ sauce on a crispy cracker on top of crispy shredded noodles. My friend said that the tapas dish reminded him of a Lays BBQ chip. Next time I come here, I’m interested in trying one of their salads and their lunch menu. After our unsuccessful attempt at eating at a restaurant on Ossington, my friends and I went to Rakia Bar for dinner instead. It’s a small rustic restaurant in downtown Koreatown. The entrance is right by the only window in the restaurant. The lighting was abit dim with a long communal table in the middle of the room and several two person tables along the sides of the wood-paneled walls and a table by the window and entrance. We requested for a seat that wasn’t by the window. This Balkan restaurant has a large selection of rakia. Rakia is a 40% alcohol that is double distilled and is a fermented fruit brandy and it’s popular in the Balkan countries. We all had a different rakia drink. My friend got the Mr. Tesla ($9.50, right side of picture) while another friend got the Camomilla ($9.50, center of picture). I had the Hobbit ($6.50, left side of picture). Mr. Tesla was billed as an electric drink and it’s a plum rakia. The alcohol is a much stronger smell but it doesn’t linger in the aftertaste. My friend enjoyed it. The Camomilla is a grape rakia with chamomile, pear, plum, hazelnut and walnut. It was very mild tasting compared to Mr. Tesla. The Hobbit is a plum rakia with Melisa herbs, Salvia herbs, anise and lavender. 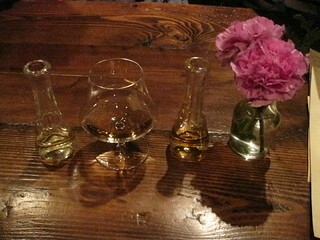 This rakia is suppose to cure all ails when I asked our server to elaborate on the rakia selection. 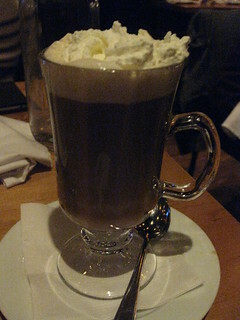 It is perfect for a cold winter night because as you drink it the warmth spreads and lingers in your body. My friends and I split the mezze platter for two ($18) and the meat platter for two ($28). The mezze platter features pickled vegetables (finely sliced carrots, halved green beans, pickles and sliced beets), roasted pepper spread, feta cheese, black olives, aged cheddar cheese, 2 mini cornbread muffins, 3 kinds of cured meats and garnished with a stalk of green onion and a side of salt. It was tasty however I was expecting something more exotic in terms of the cured meats. 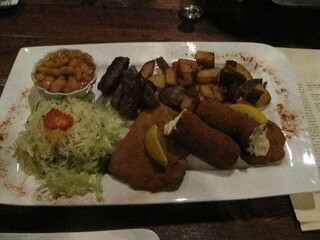 The meat platter for two features a Black George Schnitzel, chevapi, Viennese schnitzel, baked beans, coleslaw and cubed potatoes. The Black George schnitzel is a breaded schnitzel that’s stuffed with kaymak. 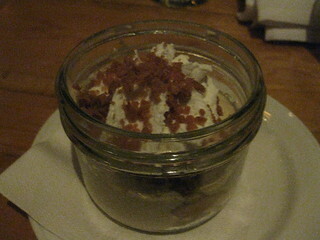 Kaymak is buffalo milk clotted cream. It was crunchy and delicious. The kaymak is a great accompaniment to the schnitzel. Chevapi is grilled minced beef and minced pork, reminiscent of a kebab. 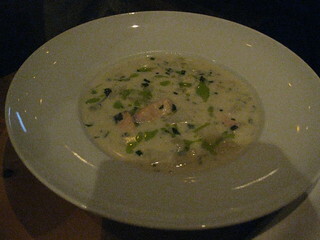 It was abit salty but very flavourful. The Viennese schnitzel is a thin, breaded, deep fried veal cutlet. 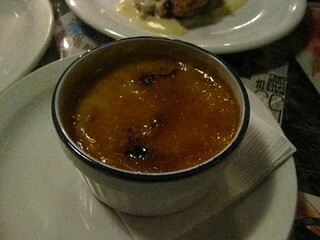 It was good, especially once the lemon juice was squeezed over it. The coleslaw was a refreshing break from all the fried meat and it’s garnished with a hot pepper ring. The cubed potatoes had a nice crunchy skin. 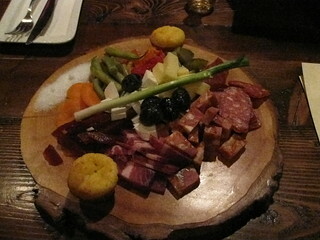 Overall, the meat platter was a nice introduction to Balkan cuisine. I am interested in trying the Balkan style burger and a different type of rakia the next time I come. 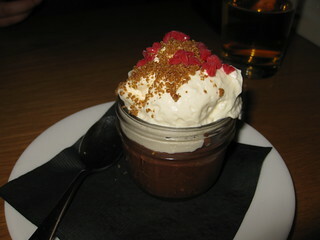 My friends and I decided to have dinner on the Ossington strip after skating at the Evergreen Brickworks however the restaurant we wanted to go to was operating under a Valentine’s day set menu with reservations only so we decided to initially go to Bang Bang Ice Cream to have an ice cream sandwich since we were already in the area. 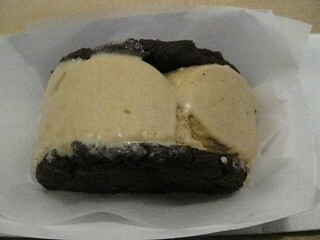 The bakery offers ice cream, 1/2 and full vegan and non-vegan ice cream sandwiches,vegan and non-vegan cookies, Hong Kong waffles, ice cream puffs, coffees and teas. The 1/2 ice cream sandwich lets you incorporate up to 2 ice cream flavours while the full ice cream sandwich lets you incorporate up to 4 ice cream flavours. My friends and I got the 1/2 ice cream sandwich ($4.97 including tax). I had the london fog ice cream (ice cream on the right side in the above pictures) and hazelnut ice cream (ice cream on the left side in the above pictures) between a RoCocoa cookie. 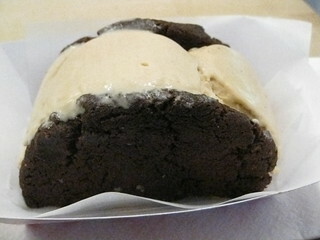 The Rococoa cookie is a chocolate cookie with salt sprinkled on the top. It was a tasty combination. I’m hoping that the next time I come they’ll have the green tea cream puff. If you are in the neighbourhood, I recommend this place for dessert or a snack. My friend and I had dinner here afew days ago. It’s close to St Lawrence market in a quiet neighborhood. It has a rustic decor with fairly dim lighting. 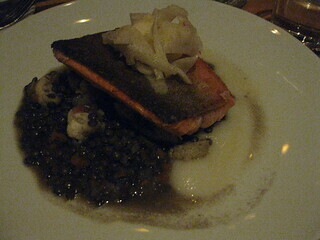 Winterlicious dinner is $25 + tax & tip. We both got the crispy Quebec brie for the appetizer. 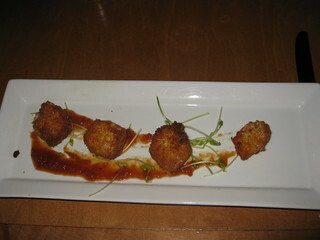 It’s a panko breaded brie drizzled with a sweet tomato chutney. The panko breaded brie was bite sized although when I initally saw that it was only 4 pieces, I thought it could be slightly bigger in portion sizes. However the brie with the chutney was tasty. My friend got the stuffed portobello mushroom for her main. 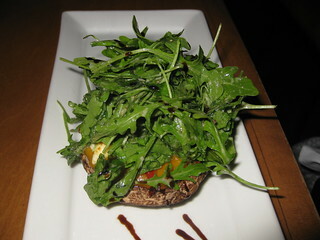 The mushroom is stuffed with sweet potato, roasted red peppers, zucchini, red onions and goat cheese and topped with balsamic greens. I had the chicken and waffles for my entree. It looked quite small but was deceptively filling. 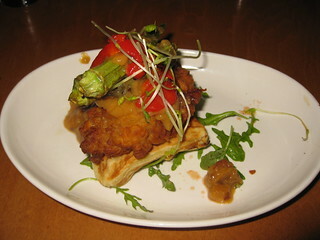 The chicken and waffles is a crispy southern style breaded chicken on top of a square of waffle with a sausage gravy on the side and topped with crispy okra and sweet red peppers. 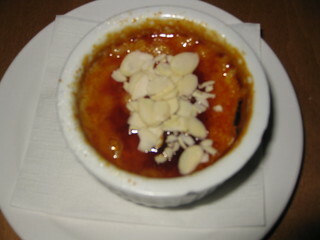 We both got the Grand Marnier creme brulée with toasted almonds. 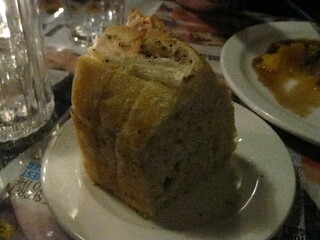 It had a really thick, hard to break crust. My friend found it gritty and not smooth tasting. I like the orange flavour to it. 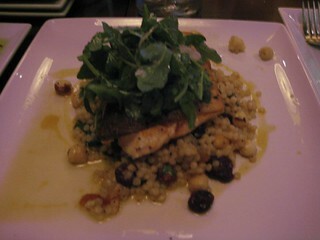 Overall, it’s not the worst restaurant I’ve been to but it’s not the best restaurant either. 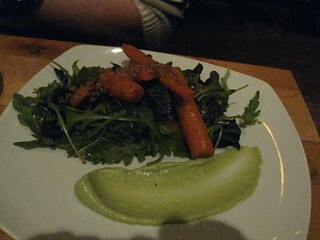 My university friend and I decided to do our annual Winterlicious meal at Parts & Labour. It’s on Queen St West between Lansdowne and Roncesvalles so it’s quite far west for somebody who works at the edge of Scarborough. It’s a very spacious restaurant with mainly communal tables and modern rustic decor. I initially thought it would be a much smaller restaurant. There weren’t alot of people having dinner on a Tuesday night. 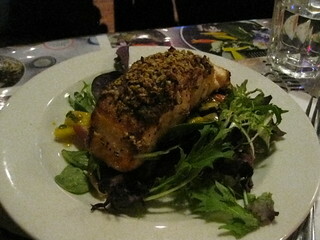 The servers were very helpful and courteous. The lighting was quite dim however the noise level was alright. Parts & Labour has an extensive alcohol selection. 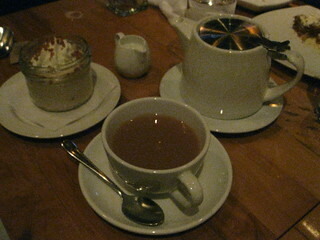 My friend and I decided to split both the appetizers and desserts. For appetizers we had the steak tartare and the octopus escabeche. The steak tartare includes capers, dijon mustard, aioli, shallot and skinny French fries. 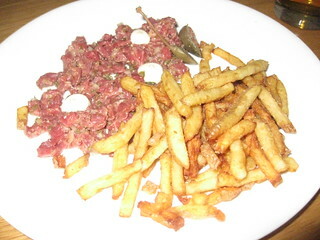 Steak tartare is minced raw beef that’s well seasoned and served with some type of starch. I found the steak tartare to be quite salty and sour tasting however the french fries were a good accompaniment to the tartare when eaten in the same mouthful. 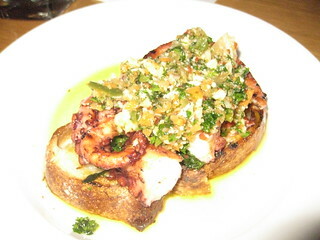 The octopus escabeche includes giardiniera on top of sourdough bread. It was also quite salty. 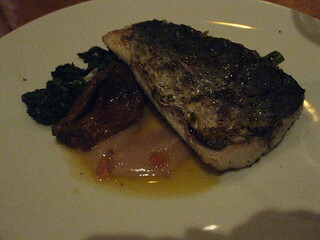 Escabeche is a Spanish dish in which the fish is marinated, fried or poached and served cold. 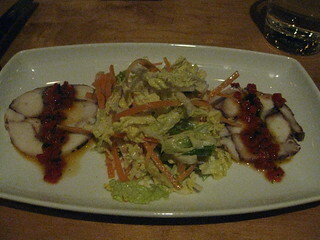 The octopus was poached and served warm rather than cold. Giardiniera is a pickled vegetable and olive oil relish. It compliments the octopus. My friend got the porchetta with hot peppers, rapini, lentils and garlic chips. 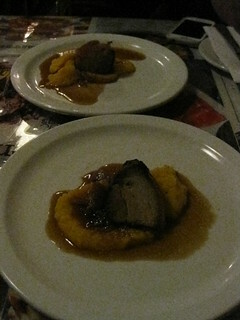 My friends remarked that it looked like an Asian dish rather than an Italian dish. I had a bite of her dish and the porchetta was very delicious with the perfect amount of fat to meat ratio and goes very well with the lentils and garlic chips. 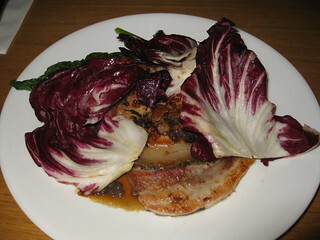 The porchetta was more delicious than the pork belly I had at Five Doors North. 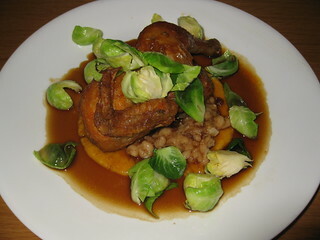 I got the 1/2 cornish hen with butternut squash, Brussels sprouts and white beans. 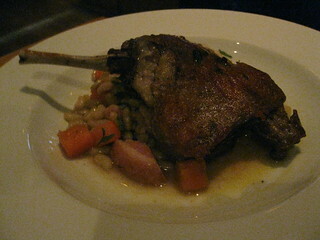 It was quite salty however the cornish hen had a very nice crispy skin with juicy meat. 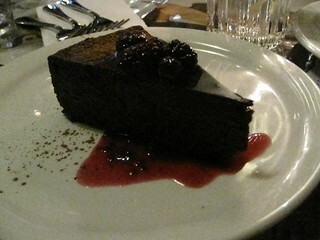 For dessert, my friend ordered the Chocolate Terrine with Chantilly cream and raspberries while I had the olive oil cake with condensed milk. 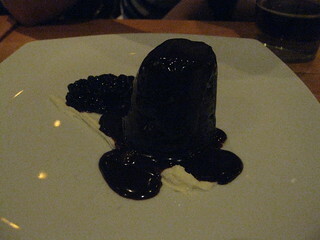 The chocolate terrine is reminiscent of a combination of chocolate pudding and flourless chocolate cake. 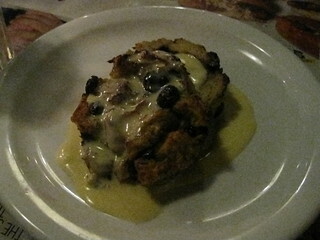 The chantilly cream is whipped cream that has been made light and fluffy. 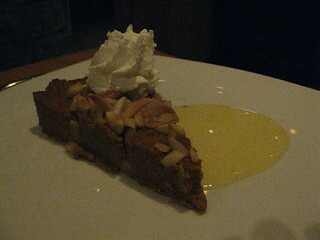 The olive oil cake was light and dense. 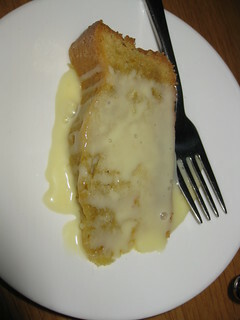 The condensed milk gave it an extra dimension. Overall, I would come back to try their P&L burger.